STCC Uttamnagar,New Delhi-59. 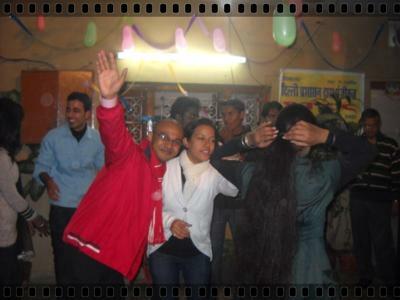 Annual function to celebrate 2011. It's me, Sufy, and all my friends. We're enjoying New Year fully with DJ dancing. Deepika looking white angel....I love this so much!